E3 2013 is just around the corner, and Ubisoft has a solid lineup of games to try and steal the show once more. To our dismay, there are no surprises in the lineup as we have already known about and seen every game for quite some time now. Again, nothing we haven't seen before, but there might be a surprise or two in there somewhere.Two of the games, Assassin's Creed IV: Black Flag and Watch_Dogs, are confirmed to be on the PlayStation 4 and Xbox One consoles, so Ubisoft will not be left behind in showing off the next generation. 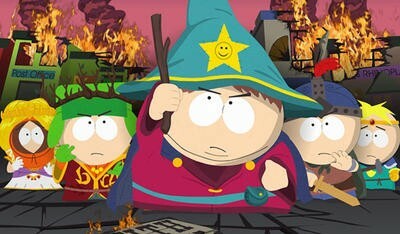 More importantly though, South Park: The Stick of Truth is making its first major appearance since it jumped publishers when THQ went under in January. Many have been anxiously awaiting to see how it has fared in the transfer. I doubt Obsidian were required to make too many changes, and could possibly have even made it better with a bigger publisher. Ubisoft must be feeling the pressure by now. The problem with dominating E3 and winding up the hottest publisher on the market last year is living up to expectations to do it again. All they need to back up this impressive line-up is a huge surprise. Let's wait and see if any more magic occurs twice in a row.